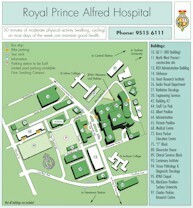 The course is held in the Kerry Packer Education Centre, in Camperdown just outside the Sydney CBD on the grounds of Royal Prince Alfred Hospital, one of Australia’s most highly respected teaching hospitals. 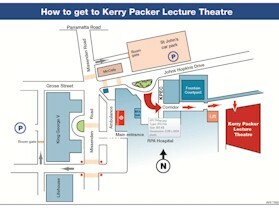 The Kerry Packer Auditorium seats 230 people. The vibrant hub of Newtown is a short walk away, with many cafes, restaurants and other dining options.